When your little one is sick... how do you feel? Something as trivial as the common cold can be very distressing for small children. If ​you could, ​you would take that cold on yourselve in a heartbeat. ...these illnesses are part of life. In fact, they can be very beneficial for your child’s immune system. But that doesn’t mean we have to stand back and just let it happen. There’s plenty we can do to alleviate some symptoms. Today, we’re talking about coughing and ​toddlers. Coughing interrupts sleep, and good rest is essential to getting better. Even worse, when coughing gets out of control, it can be painful for ​​kids. Stopping this one symptom in its tracks might be the key to getting through this cold more smoothly. Should you try some homemade cough remedies for kids? Are there any safe home remedies for cough in ​kids? Stay with me and… ​let’s have a closer look. What’s wrong with the average OTC cough syrup? For starters, they can come with a slew of side effects. These include rapid heartbeat, drowsiness, and for some syrups, trouble breathing. Currently, the Food and Drug Administration advises that most kids don’t need medicine to treat the symptoms of a cold. ​Fact is, many cough medicines are not recommended for kids under the age of six. Besides, these medications cost money and require a trip to the store. With a few simple, natural ingredients, you can easily soothe a cough at home. ​Honey in any form is inappropriate for children under 12 months. Real honey - check price, may contain Clostridium botulinum. This isn’t problematic for older kids and adults, but it is unsuitable for immature digestive systems. ​Olive oil - check price, is one of the best home remedies for dry cough in toddlers. The oil lubricates the throat, which automatically eases the urge to cough. Of course, honey is notorious for its cough-suppressant effects. Meanwhile, lemon has mild antibiotic effects with the added boost of vitamin C to help bust up mucus. To make your own honey, lemon, and olive oil cough syrup, simply gather those three ingredients. Add one cup of raw honey, ¼ cup of olive oil, and the juice of two to three lemons to a pot. Heat the mixture up on medium, stirring constantly. Do not let it approach a boil, but heat until it just begins to steam. Remove from heat, and keep stirring as it cools. It should thicken a bit as it approaches room temp. Pour the mixture into a Mason jar and seal it tightly. Store in the refrigerator for a week or two. For kids, one teaspoon as needed should do the trick. Adults can take a tablespoon. “My throat tickles,” is the common childhood complaint just prior to a coughing fit. For this, fresh ginger root is perfect. That’s because ginger is a natural anti-inflammatory analgesic. Analgesics can suppress pain and other sensations that provoke coughing and spasms. To make this remedy, you’ll need ¼ cup of grated ginger, the juice of one lemon, and ⅔ cup water. Bring it to a light boil over medium heat, stirring constantly. Maintain this for approximately five minutes before removing from heat and allowing to cool. Now, strain the ginger out of the liquid. Next, add in one cup of honey and mix well. As before, seal it in the fridge and give your kid a teaspoon a few times daily. The ginger is also excellent for any upset tummies that may accompany illness. Got some star an​​​​ise - check price, kicking around in your spice cabinet? It’s also a star ingredient in many of the best home remedies for cough ​in toddlers. Anise has long been prized as a medicinal herb for respiratory troubles. ​In addition to being a powerful antioxidant, anise is a natural antispasmodic. These help tone down involuntary coughs. Furthermore, anise can help loosen up those dry coughs and get the mucus moving. For this syrup, you need a tablespoon of anise seeds, one cup of honey, and ⅔ cup of water. First, bring the water to a boil. Use a mortar and pestle or coffee grinder to grind up the anise. Add the powder to the boiling water and stir as it reduces for a minute or two. Once you remove it from the heat, mix in the honey. Now, let it cool, and seal in a jar for refrigeration. Again, a teaspoon or two a few times a day is effective. 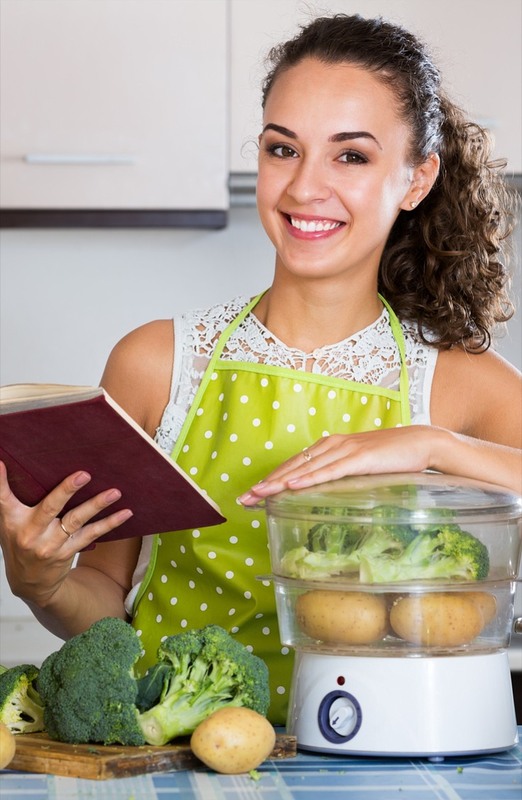 Personally, I sometimes rely on a recipe that includes all sorts of unpalatable things, like garlic, onions, and cayenne pepper! It’s perfect for more severe symptoms, as well as illness prevention. Onions, garlic, and cayenne are all powerful, pain-relieving antivirals. For this recipe, you must grate a few tablespoons of onion and garlic. You then let it sit in 3/4 cup of honey for several hours. Afterward, pour in ¼ cup of olive oil and a few tablespoons of lemon juice or apple cider vinegar. Mix it all together, and then strain to get the onion and garlic solids out. Seal and refrigerate. If you want to add in cayenne, it’s recommended that you add a small (very small) pinch to each dose. This recipe will keep in the fridge for about a month. I like to dispense a spoonful to each of my little ones before they head out during cold and flu season. It’s also worth mentioning that Mommypotamus uses buckwheat honey - check price, for her cough syrup. Buckwheat honey is darker, thicker, and more pungent than other varieties. But as it turns out, this can mean more antioxidants. While regular wildflower honey is great in tea, I agree that buckwheat is better in homemade cough remedies for toddlers. And because it tastes stronger, it’s more capable of covering up the taste of garlic and onion. ​Homemade cough remedies for kids (without DXM) are a great start. But here are a few more ways you can begin to curb the cough. When you have a cough and sore, itchy throat, a dish of ice cream sounds nice. Indeed, the special treats are one thing kids have to look forward to when they’re sick. However, you probably want to stick to popsicles or sorbet instead. This topic is the subject of much debate. Many sources point out that there’s little evidence to say that dairy increases mucus production. Others claim that it isn’t more mucus that dairy causes, but thicker mucus. Natural, traditional forms of medicine, including Chinese, still say that dairy is a no-go during illness. Additionally, professional singers frequently abstain from dairy because the fat content thickens mucus in the throat. So if you want to loosen up mucus, it may be best to skip dairy. Even if it seems a little superstitious to you. That mentholated chest rub you’re familiar with contains plenty of petroleum. You can get similar effects by concocting your own with a few essential oils. It’s best to do this for kids six and older. ​Wellness Mama has a recipe which uses coconut oil, beeswax, and plenty of cough-busting essentials. The beeswax - check price base makes it more solid, like the store-bought version. This way, you can whip up a container and use it all season long. ​3. Add warmth and moisture. Heating up mucus is a good way to thin it out so it can be expelled. Classic remedies like hot soup and soothing herbal tea are perfect here. They also provide extra fluids, which are so critical when you’re dealing with any illness. You can also try a warm bath, followed up by a gentle steaming. Have your child sit on the bathroom floor while a very hot shower runs for 15 minutes. Supervise to make sure they don’t wander over and burn themselves. ​Increasing the humidity can also help keep airways lubricated. If you have a humidifier - check price, keep it going at night. ​4. Give them a massage. Even toddlers can benefit from a little massage to get things moving. But far from just gently rubbing the chest or back, acupressure techniques are popular here. In fact, according to Modern Reflexology, the best point to massage may be the wrist. If you’ve never delved into acupressure before, do a little reading and give it a shot. The results may surprise you! When my kids are sick and desperately want mom by their side, I perform gentle acupressure as I comfort them. ​5 Loosen mucus with a saline solution. For myself, a neti pot is king for getting rid of mucus. My kids, on the other hand, are not receptive to saline rinses. What they will tolerate is a little sterile saline mist - check price, spritzed quickly up the nose. A quick misting a few times per day can clear airways and keep them from drying out. As a bonus, using these periodically may help keep kids from getting sick. ​At some point, we all wonder whether or not a home remedy is really enough. Should you take your child to a doctor? Here are several ways to tell. ​​​Trouble breathing or swallowing. ​Some kids get pretty freaked out when they’re sick, and they may overreact to being so uncomfortable. But you should pay close attention to their breathing patterns for short and/or rapid breaths. ​Also, monitor how they eat. Trouble eating, especially if hungry, could be a sign of trouble swallowing. Drooling, drowsiness, and cries that seem “stuck” are also signs that they could need a doctor. ​​Prolonged cough. ​It’s not unusual for a child to sporadically cough for a few days after they show signs of getting better. Moreover, if they attend school with sick kids who weren’t kept home, they could catch cold after cold. ​But if they’ve been coughing for a week or more, stay safe and get them seen. ​​​Incessant coughing. ​Many a coughing spell has led to a sleepless night. However, multiple nights interrupted by a constant cough is worrying. Lack of sleep doesn’t help matters when it comes to healing. ​​​Loud, barking cough. ​Hoarseness and a cough that sounds more like a bark are two telltale signs of croup. Granted, this is a common virus, but it always helps to know what you’re dealing with. ​​If you have multiple little ones, particularly ages five and under, diagnosing croup can help you prevent the spread. ​Fever. ​Naturally, you’ll encounter a fever with many viruses that include a cough. But if this fever reaches 102 degrees Fahrenheit and doesn’t break after two or three days, it’s time for a doctor. 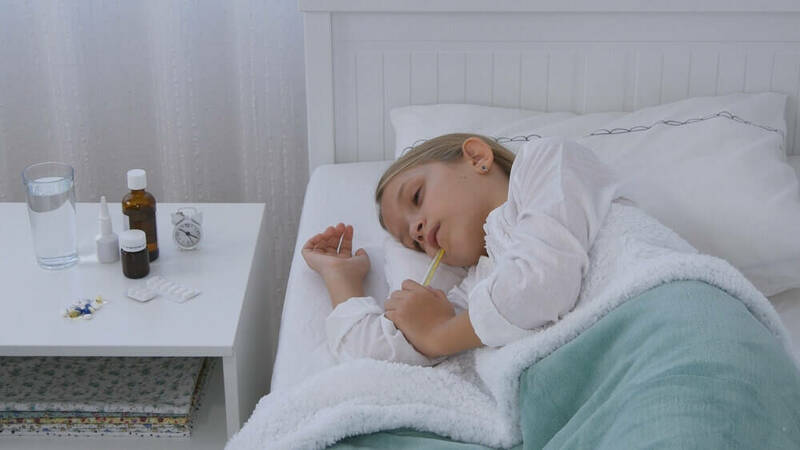 ​​In fact, a fever that won’t quit could be the main contributor in cases where your child can’t sleep. Watch their temperature as closely as you monitor the coughing. Unexplained coughing. Is your child coughing, but otherwise okay? If there are no other symptoms, so much coughing can be a sign of something else, like asthma. ​Take note of when your child coughs, how severe it is, and what may have provoked it. For instance, does running and playing in the yard seem to trigger their coughing? When you first send your child off to preschool or kindergarten, you’re approaching a milestone full of surprises. Among these, we have the inevitable viruses kids seem to collect like so many trading cards. To be sure, a bad cough is our least favorite symptom. ​In the end, there are plenty more stuffy noses to come over the course of their lives. Let’s learn the best ways to get a handle on them while they’re young! ​I’d love to hear from you on this. Do you have any tried-and-true homemade cough remedies for kids? When do you feel it’s time to see a doctor? Weigh in below - we could all use the extra advice.